All vouchers that have not been redeemed can be returned hassle-free within 30 days—free of charge, no questions asked. And remember, our vouchers never expire! And our vouchers never expire! 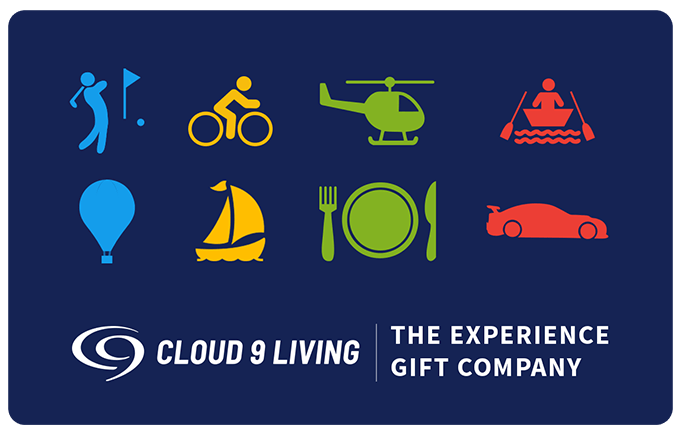 To request a refund, simply email info@cloud9living.com or contact us through our help center. Please be sure to include your order number or voucher number. If a voucher has been registered, whomever registered the voucher must request the refund. Once approved in accordance with Cloud 9 Living's refund policy, funds will be placed back to the account the original order was placed and this typically takes 3-5 business days. Recipients will be able to book a date that is convenient for them by clicking Redeem and entering in their gift voucher number. If you would like to book on their behalf or book an experience for yourself, you will be prompted to submit a date after checkout by clicking 'Book Now'. Your voucher can be emailed directly to your recipient (either immediately or you can schedule it to be sent at a later date) or you can email it to yourself to print later. You will also be able to print the voucher after checkout in both instances. No. Our vouchers never expire. What do your Experience Vouchers look like?